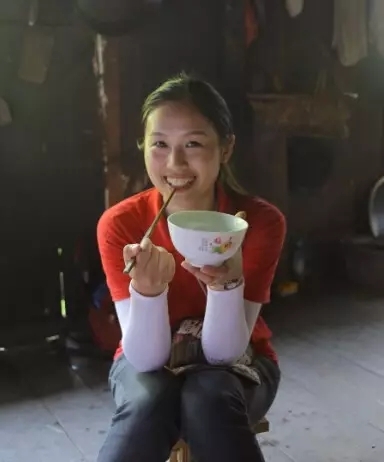 The documentary on Jiang Yiyan’s eight-year volunteer teaching experience has recently become very popular in China. I watched it too and was deeply moved. Despite the controversies it has stirred up, I have a positive attitude towards her story, which I have perhaps cultivated during my own two years as a new NGO worker. “We want to start a foundation with 10 million RMB and help financially challenged students in Hunan Province. You are to press ahead with it”. These were the words I was told by the board director of the investment company I worked for. Together with his wife and several other entrepreneurs, he has been incessantly building up his philanthropic efforts, both personally delivering donations to far-flung areas and giving to relevant organizations and individuals through government agencies. After a while he discovered that the former method consumed too much time for a busy businessman, and the latter was undermined by negative news and a lack of transparency. Thus, after the National Day holidays of 2013, the two simple sentences at the beginning of this paragraph marked the establishment of the largest private foundation in Hunan province, the Hunan Sun Charitable Foundation (湖南太阳慈善助学基金会), and also sparked my unexpected journey through the NGO sector. Up to the point when I went to university my life was simple, or even tedious, owing to my strict parents. Undergraduate life was kaleidoscopic. The student union, student societies, part-time jobs and internships quickly expanded my viewpoint. After graduation, I went to the Yangtze Delta region, which I liked, and worked in investment. Up to that point, I hadn’t had a single connection with the NGO sector or with charity, unless you count small gestures such as picking up banana peels on the street and throwing them into the bin. All the same, my NGO work unexpectedly began with the two short sentences mentioned above. When the foundation had just been established, I was the only employee. I had no previous experience and no guidelines. Field trips were my self-learning class 101. One person, one bag, and off to the mountains. This was the first time for me, a seasoned traveler, to pack for something that wasn’t a leisure trip. The trips were, of course, quite demanding. During one particular day in the mountain, I took a car for one and half hour, then a motorbike for five hours, and after that I walked and then again took a car. I was only able to visit three students in their homes. Going on at this pace for a year, I visited 119 financially challenged households with students in the mid-west of Hunan Province, and came to understand the situation of these students. Shabby houses, too many children, ragged clothes, and no food were my previous impressions of these poverty-stricken areas, which had been acquired through the media. I thought I knew everything. Yet I realized, after visiting these areas myself, that with the development of the economy and the coming of the information era, poverty is no longer about insufficient food and clothes, but rather about inequality of recourses expressed in nutritional shortages, labor deficiency, time lag of information and ideas, and weak educational soft power. These problems could not be solved by a few acres of farmland. If the problem were just village primary schools with worn out facilities, what foundations could do would be obvious. In reality, however, the facilities have already been largely improved in the schools in towns, counties and some villages, thanks to the devoted efforts of the government and the society in rural education in recent years. That is why we needed to carefully determine what to do when helping financially challenged students. Again, we confirmed that the foundation would focus on the students, and not just materially. We also wanted to accompany them in their personal growth. The foundation would not take full responsibility for these students’ education, since it only undertakes the social responsibilities of a charitable foundation. An excellent education is the result of joint efforts. Parents, schools, and the government are not exempt from their responsibilities. The foundation is more like a contributing force for a positive societal development. Whenever I cast my eyes on the shabby houses, hopeless parents and inarticulate children, an urge to help them arises within me. There is so much to do, yet so little that I can do. Those who have some knowledge of philanthropy know that Hunan Province is basically a vacuum for the NGO sector. It lacks talents, resources, ideology, and unity. When the foundation was established, many were curious about the nature of such an organization. Quite a few unexpected questions were asked. “Foundations are for money laundering, right?” “You are loaded. So is all you have to do to travel around and hand out money?” “The foundation is so wealthy. Your salary must be dead high.” “It must be easy for you to ask for a favor and get many discounts.” To be frank, I was very displeased. But I answered all the questions patiently with the limited knowledge about the work at foundations I had at that time, in the hope that they would pass on a better understanding of the NGO sector to more people. Outsiders are ignorant. Insiders are mostly transferred from other sectors. They work alone and are scattered throughout their respective regions. At first, I tried to contact similar private foundations registered in Changsha and see what I could learn from them. Unfortunately, I was repeatedly rejected with reasons like “it is inconvenient” or “there is nothing to share”. Then I found out that in Hunan most foundations’ sole purpose is to build up a philanthropic image for corporations instead of really working in philanthropic development. There were not many foundations established by individuals, let alone sectorial development. On some rare occasions I went on field trips and visited students’ households with local volunteer teams. These teams were kind and warm hearted. However, on hearing our proposals for cooperation, they rejected us with vague reasons. At the time I didn’t understand why this should be. Later on, when I was more seasoned, I came to understand that they had already established a closed circle that brought about good social impacts within the region. They did not want to bring in new factors, which they feared would undo this stability. This was a large grassroots team. There were many volunteers in Hunan managed by governmental agencies. However grassroots NGOs or bottom up volunteer teams are quite rare. Hence, the people in this sector being scattered, unmotivated and close-minded is the norm here in Hunan. This upsets me. How come, Hunan Province that used to be the old Chu kingdom and renowned for its talents, there is not a single space for the NGO sector to grow? Pondering this question, I believe that a relatively closed NGO environment, a lagging and inefficient system, insufficient expertise, superficial promotion of NGO knowledge, and a lack of talent, team spirit and methodology are all barriers for the development of Hunan’s NGO sector. This year, I was very fortunate to participate in a “cooperative foundation camp” (协力营). To some degree, this was my first formal training regarding theoretical knowledge within the NGO sector. It was also the first time that I communicated and exchanged ideas freely with my peers in such a stimulating environment. I went over and over the foundations’ aims and current situation, wondering how we could deal with the current environment. Maybe all the foundations set up by individuals encounter the same difficulties as we do. We have to remind ourselves, now and then, of our principles including: to abide by our original aims; to conduct our service delivery by the needs of the current society and economy; whether employing bottom up or top down management, there should be unity between goals and methods; to avoid being controlled by moral judgment in daily operation; The foundation’s scope of operation, resources, and suitable projects should be clearly identified. It should also spearhead the sharing of information and the welcoming of new ideas. Hunan is a place where foundations hardly survive. But the students we meet blossom and thrive with love, and this empowers us to carry on. If we view this challenge as an opportunity, and attract resources to flow into this vacuum, will this invoke the “lowland effect” in economic terms? It is said that the truth is made clearer through debate. I’m not sure about that. But I believe my way is clearer as I march on. 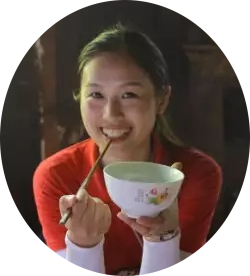 Introduction to the author: Yao Rui, who was born in the 1980s and loves her life, has worked in the Hunan Sun Charitable Foundation (湖南太阳慈善助学基金会) for two years since its establishment. She hopes to continue interacting and growing alongside other NGO professionals. What do the secretary-generals have to say in reply to “Frontline Voices ”?